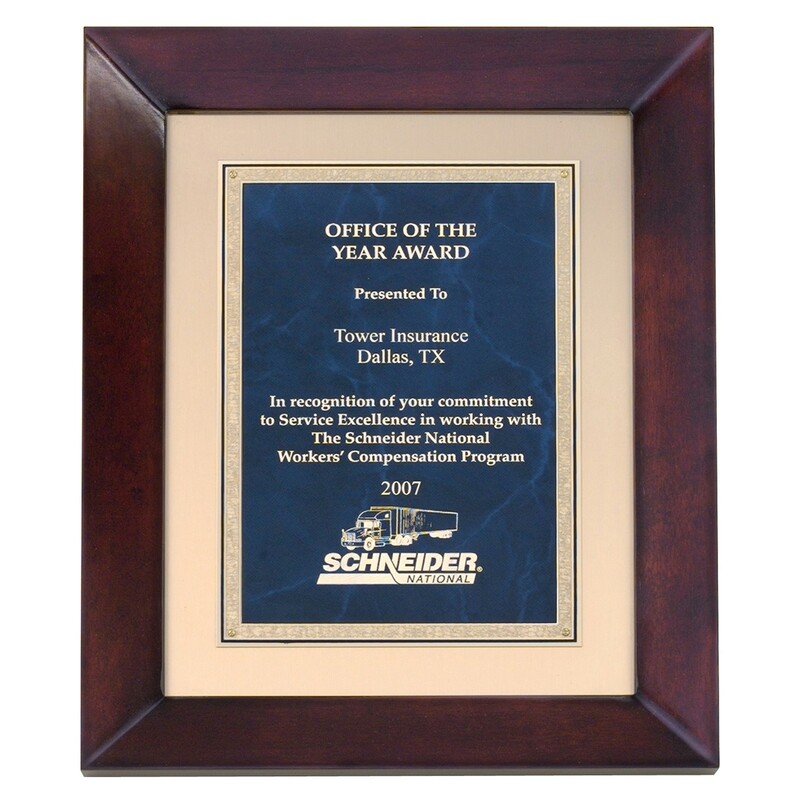 Present any hard worker with this lovely cherry framed gold and sapphire plaque. The stylish thick gold border and sapphire plate with a marble effect will draw everyone's attention. The cherry plaque frame has a natural hand rubbed finish adding to the elegance of this plaque. Adorn the walls of any room or office with a Cherry Framed Blue Corporate Plaque.